I'm a frosting girl through and through. To me, cake is merely a vehicle. That's why I was so darn excited to receive Courtney Dial Whitmore's latest book, Frostings! Well, I was also excited because Courtney is pretty much as sweet as the frostings in her book. 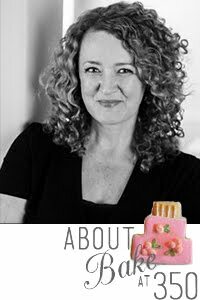 Cute as a button and filled with joy, Courtney shares her recipes, entertaining and party tips on her blog, Pizzazzerie. 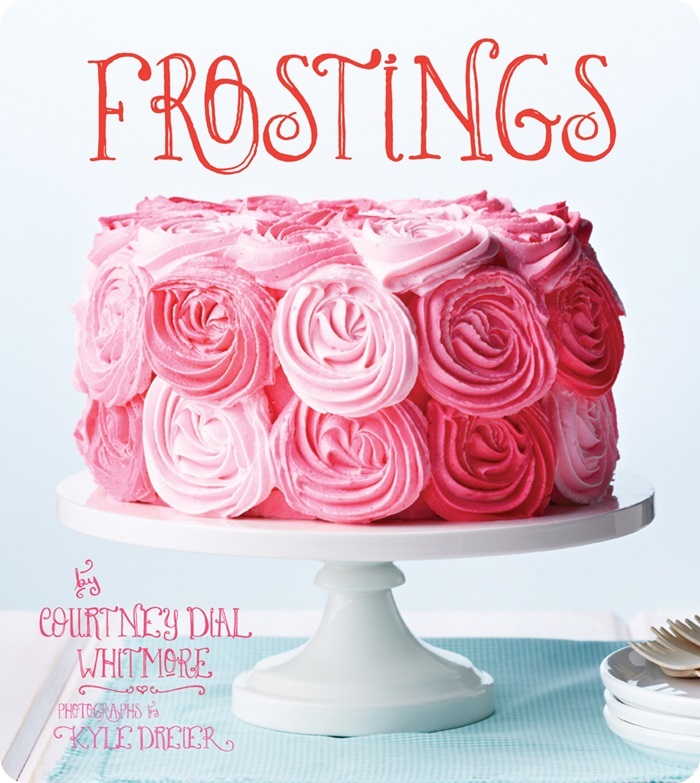 Frostings is a beautiful hardcover book, filled with, you guessed it, recipes for frostings! 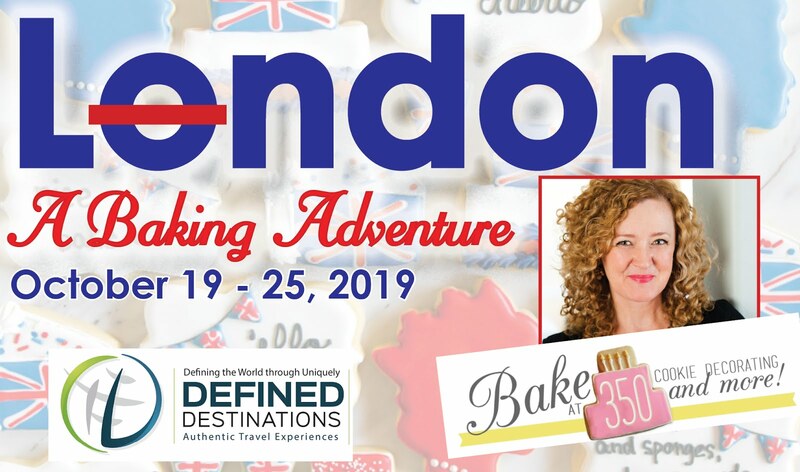 Not just frosting, but glazes and ganaches, too. 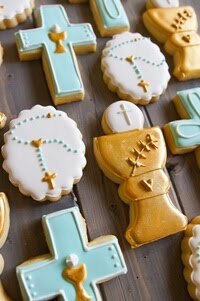 The pictures are gorgeous...showcasing inspiring frosting techniques and ideas. I already know I will refer to it again and again in my kitchen. Let's take a peek inside the book, shall we? OK...these end paper just killed me! Cutest end papers in a book EVER. Am I right? And *how cute* and delicious does this Toffee Sundae Cupcake look?!? Courtney is graciously letting me share the recipe with you here! Yay! Cream butter in the bowl of an electric mixer fitted with the paddle attachment until light and fluffy (1–2 minutes). Add powdered sugar 1 cup at a time until thoroughly incorporated. Add in heavy cream or milk, caramel sauce, and salt. Beat for 2–3 minutes. Add additional powdered sugar to thicken frosting or more cream/milk to loosen. In a saucepan over medium heat, melt chocolate, butter, and oil until smooth. 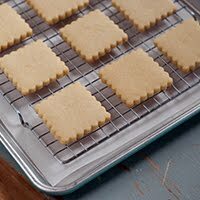 Remove from heat and drizzle over toffee frosting. Also! Would one of you like to win a copy? Here's what you do...leave a comment on this post telling me your favorite frosting flavor. Entries accepted through 11:59pm CST, August 18th. Buy the book! (Did that sounds bossy?) ;) I think you'll love it! My favorite frosting by far is Cream Cheese frosting. I can eat by the spoonful. Chocolate frosting is my favorite!! Chocolate is my favorite, but that toffee one looks fantastic! Salted caramel is my favorite frosting! Chocolate cream cheese is my fave! Chocolate cream cheese frosting! It is so addicting and delicious! I am a classic vanilla buttercream frosting lover! Those whipped cream "frostings" can't hold a candle to buttercream! My favorite is your Chocolate Stout Frosting! I love whipped frostings - I'd have to say that a cookies & cream whipped frosting is the best I've ever had! Chocolate is my favorite!! Yummy! Nutella frosting always wins my heart. I love cream cheese frosting. It is my absolute favorite! Chocolate frosting is my favorite! This book looks awesome! My favorite frosting is probably a Nutella Swiss Meringue buttercream I made for my sister, we were literally just eating it with a spoon! My favorite is vanilla bean buttercream frosting! Lemon is my all-time favorite, but chocolate is a close second. I'm an icing girl myself, so I can't wait to get a copy of this book. Looks so amazing.This frosting is delicious.. I love a good peanut butter frosting! right now, well for the past few months i have been loving vanilla bean frosting. i finally went to king arthur and bought their vanilla with the flakes of vanilla bean in it! That saccharine-sweet, almost gritty 'crusting' vanilla buttercream.....mmmmmmMMm!! I love cream cheese frosting. I'm usually a Chocolate or Cream Cheese frosting girl but that Toffee Sunday frosting sounds divine! I'm definitely going to have to give it a try! Thanks for the new recipe and the chance to win! I would love to see what other awesome flavors she has in there! Chocolate is my favorite so far, but I bet I'd find another love in that book! Yum. These images are amazing. I'm a big fan of vanilla buttercream...with lots of sprinkles. I think I love any kind of buttercream frosting. Lemon. And raspberry. I can't pick just one. I think my favorite frosting to date is Chai spiced frosting. It's amazing and goes well with chocolate and vanilla. My favorite frosting is cream cheese frosting. This book looks wonderful! I like marshmallow fluff buttercream or peanut butter frosting! My favorite frosting is german chocolate pecan! Yum! This book looks so fun and beautiful!! 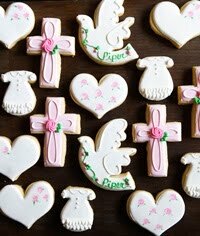 My favorite is good old vanilla buttercream! My favorite frosting is a toss up between a yummy creamy Cream Cheese frosting or a creamy peanut butter buttercream frosting!! I love my peanut butter cream cheese frosting. So good! Hi Bridget! that book looks wonderful, seems like it has plenty of recipes to try :) My favorite frosting is peach flavored buttercream, thank you for the chance to win the book. Have a great day! I love love love cream cheese frosting! Thanks for the opportunity! Chocolate Mocha!!! My favorite is Salted Caramel Frosting. This book looks AMAzING! I love vanilla bean frosting! Oh my! I'm salivating just looking at the pictures! I would have to go with chocolate buttercream as my favorite. Thanks for the giveaway! I make a fantastic buttercream icing and I make it in vanilla, chocolate or peanut butter. It will make ya slap ya mama!! Kim P - any kind of frosting! I already have the book and it's wonderful - the pictures are amazing! Would still love to win one to make someone else happy! My current favorite is German Chocolate, but please, please, let me win this book so I can find a new favorite. Thanks for the chance. I love maple frosting! And, this book looks amazing! I'm boring--I love plain old vanilla frosting with a little bit of salt. My all time favorite frosting is "Chocolate Buttercream Frosting" yum yum yum!! Any frosting with a hint of cream cheese is my favorite! I'm happy with a bowl of cream cheese frosting, vanilla frosting, caramel frosting... and a spoon. But mostly cream cheese. Either peanut butter cream cheese, or a nice soft fluffy buttercream!!! So far, it's chocolate buttercream but who knows what new favorite might be found in such a lovely book. Cupcakes and cakes are just an excuse to eat frosting, as far as I can tell, right? I LOVE white chocolate frosting! Oh gosh, how do you choose just one frosting. American Buttercream is my go to, but I love a good chai frosting too. My favorite frosting is Salted Caramel on a chocolate cupcake! Any kind of Cream Cheese frosting is a winner with me. But I also love that mess of coconut and walnuts that goes on a lot of german chocolate cakes. I can't decide on just one....cream cheese, or salted caramel....or chocolate....oh my I love so many flavors! Key Lime buttercream is the best. I'm always reminded of summer. Cream cheese frosting, specifically on pretzels. Salty-sweet to the max. Oh without a doubt I LOVE cream cheese frosting. I've been wanting to get some help with my frosting so this book is right up my alley. Mocha... Pretty much can get my attention with anything coffee... Coffee and chocolate?!? Wish I could thank the genius who came up with that! Brown sugar frosting on a spice cake is A-MAZ-ING! I love peanut butter and oreo cream cheese frostings! Yum! It is a way to make a plain chocolate cupcake taste amazing. A yummy salted caramel frosting! Fave frosting - really perfect buttercream. Or anything with peanut butter. My all time favorite icing is my Mom's chocolate! It's a boiled recipe that can be a little intimidating, especially if it's a rainy day! It is fabulous! Almost like eating fudge on cake! Fantastic giveaway! Hope I'm lucky! I would say my all time favorite would be Dulce de Leche, yum! Yes! Cake IS the vehicle for the frosting! ;) I l-o-v-e traditional buttercream frosting, cream cheese frosting, and any frosting that incorporates bananas! Well it depends on the kind of cake it is covering! I do love plain old vanilla buttercream. That book looks delicious! All time favorite is chocolate fudge buttercream but the classic vanilla swiss meringue buttercream comes to a close 2nd! My favorite is a perfect vanilla buttercream. I can eat buttercream plain, on cake, on stawberries....So many possible delivery methods, b/c lets face it, that is all cake is, a way to get the icing! I love a good, classic buttercream! I love fluffy seven minute frosting. I love cream cheese frosting hands down. For my birthday a few years ago I made a burnt sugar cake with burnt sugar frosting. It was TO DIE FOR. I pretty much love any frosting, but dark chocolate is probably my favorite, or chocolate ganache. Going to have to check out that book for sure. Ooh...Italian Buttercream has to be my favorite! Not too sweet, VERY rich! Perfect! Butterscotch Italian Buttercream - that would be so awesome! Dark chococolate ganache frosting! No cake needed! I love Bailey's flavored frosting! Ooh, my favorite is brown butter cinnamon! I used it to top some churro-flavored cupcakes (tops rolled in cinnamon and sugar) and it was amazing! I am a Vanilla Buttercream girl, but I bet this cookbook would change my mind! Either chocolate buttercream or dark chocolate ganache! I love a little almond vanilla buttercream! My favorite frosting is peanut butter buttercream topped with chocolate peanut butter ganache! HEAVENLY! I love a classic vanilla buttercream! 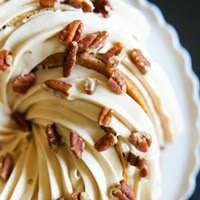 I love a dollop of fudge frosting on a pecan shortbread cookie! The only frostings I've ever used: Plain whipped cream (with sugar and vanilla), whipped cream/cream cheese or the carrot cake/pumpkin cake frosting -- butter and cream cheese. Call me boring. I'd LOVE a copy of that book! Cream cheese frosting is my ultimate favorite. It may be a bit boring, but I absolutely love it! I'm a sucker for any cream cheese based frosting, however I recently made a coffee buttercream that was pretty amazing! I love cream cheese frosting! Thanks for the giveaway! It's a toss-up between salted caramel and plain old chocolate. Or better yet, both together! My favorite is chocolate marshmallow fudge. Mmmmm. Best icing ever. I love a classic rich chocolate frosting. My favorite would be cream cheese frosting, but I love so many! My fave is chocolate Swiss buttercream. I love salted caramel swiss buttercream! It's SO good! I love old fashioned vanilla - the one that starts with flour and milk and is cooked. Yum! 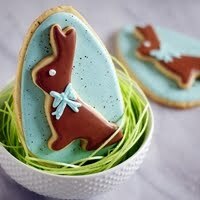 These look fabulous!!! My favorite flavor is Strawberry Cream Cheese Icing! I love buttercream however that toffee sundae could quickly become my favorite! My favorite frosting is Raspberry! Buttercream!! :) This book looks amazing!!! My favorite is mascarpone-cream cheese frosting. I made my first peanut butter frosting the other day, and it is a new favorite! Second in line is this cream cheese/ maple syrup hybrid we use for spice cakes. So. incredible. Chocolate brown butter caramel frosting! So good! I can only choose one flavor? Not fair! But if I must, I'll go with good old chocolate buttercream. Thanks for the giveaway! Cream cheese frosting is my very favorite - yum! Cream cheese frosting, without a doubt! Caramel frosting. To. Die. For. My favorite flavor of frosting is definitely chocolate (preferably dark chocolate)! I would love to learn to make yummy strawberry and raspberry frostings, too. if you are going to make me chose one I would say my go to is always cream cheese. 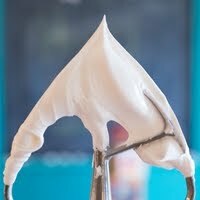 I like to make frosting from quark (German cottage cheese). It has a creamy texture, so I just mix it with strawberry purée. I like to eat cream cheese frosting, but would love to try making her cookie dough frosting recipe! This frosting is AWESOME. It is rich and creamy and very tasty. TY for a great recipe! Gaah asking me to pick a favourite frosting is like asking me to pick between my favourite (non-existent) children! ... But, if I really had to ... It would be butterscotch flavoured. Chocolate cream cheese is DIVINE! Has to be chilli-chocolate! Awesome give-away, thanks! My favorite frosting has to be...chocolate butter cream or peanut butter cream. That's a hard question!! I am a straight up buttercream kind of girl. It's perfect! I really wish they had an ebook version. I think I gained 10 pounds just by looking at the pictures. I waffle between vanilla and chocolate. I'm a purest at heart. I'd love a copy of this book. It's in my amazon cart but I haven't clicked it yet. I'm a vanilla kind of girl! I make this and I swear my family can smell it before it's gone because they're all standing near by with spoons! Dulce de Leche Frosting. It is heaven on a cupcake. Mmm... cream cheese, especially on top of a red velvet cake. I love that you are featuring this book. It is on my Amazon wishlist, and I would love to get my hands on it! Actually, my favorite is a good old-fashioned whipped cream frosting - not too sweet! Good 'ol fashioned chocolate frosting! Yums! My favorite frosting is the peanut butter cream cheese frosting that my best friend makes for me every year for my birthday! Chocolate! Always. Thanks for sharing the book. I'll be finding a copy if I'm not lucky enough to win. There is nothing better than buttercream frosting. Yummy. Any flavor...every flavor...it's all yummy! Good old fashioned buttercream! YUM! I too view cake as a vehicle to get frosting to my mouth. I love any cream cheese frosting! This is a tough question! I suppose my favorite frosting depends on the cake...the two must be paired perfectly. Plain old buttercream is always good, but chocolate mint is divine! Aww this book looks so cute! And I used to hate frosting because the store-frosted cakes were nasty and that canned stuff is just blech and when I made my own frosting it would turn out terrible. Now that I'm getting more and more into cake baking I'm falling in love with frosting. And I've worked with browned butter frosting twice now and I can't get enough of it! I love the cream cheese frosting on carrot cake. So delicious! Chocolate buttercream!! Or cream cheese! Or vanilla bean buttercream! Or chocolate ganache! I'm a frosting girl too! Pick a favorite frosting. That's hard. Chocolate Buttercream is fantastic, cream cheese is amazing, but mocha is sinfully delicious. I love vanilla buttercream frosting but of course it depends on the cake. These pictures look fantastic. I love whipped cream frosting! Light and fluffy does it for me!